Layers, to me, speak to the visible and invisible realms, the physical and energetic levels, the conscious and unconscious— even what we think vs. what we believe. In-fact most of my “work” is focused on the layers: creating layers and digging into layers. Working with layers is the underlying theme (all puns intended) in the classes I facilitate and the artwork I create. Exploring the layers gives us an experience of both our inner and outer landscape. 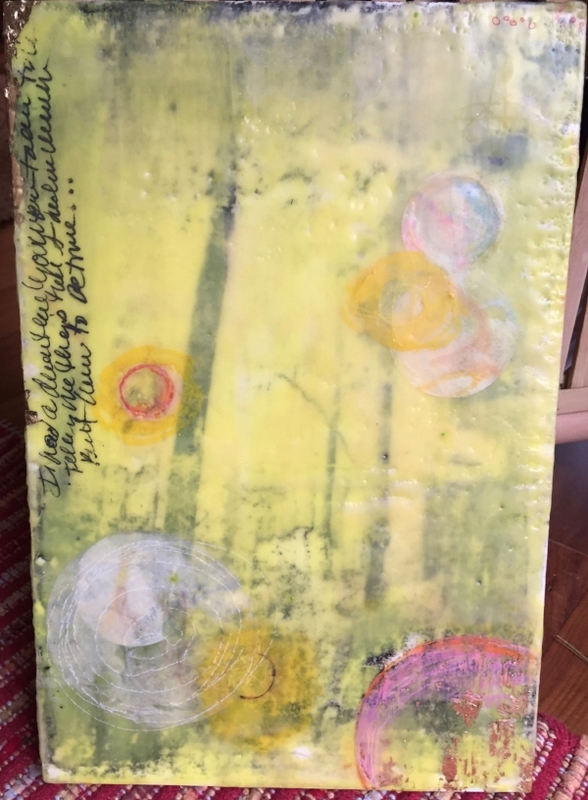 What I love about creating with hot wax, Encaustic painting, is the ability to create multiple translucent layers in one piece and then to dig into the layers of wax to reveal something that was hidden.